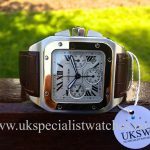 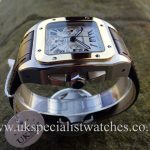 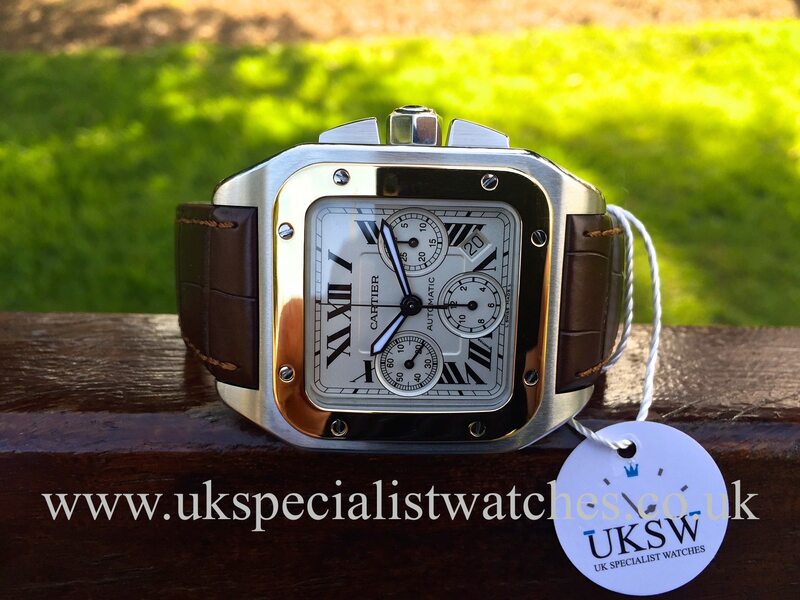 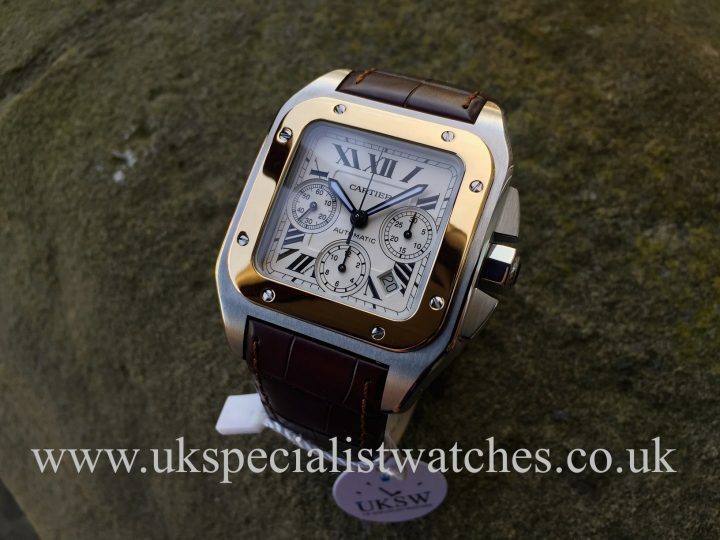 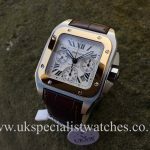 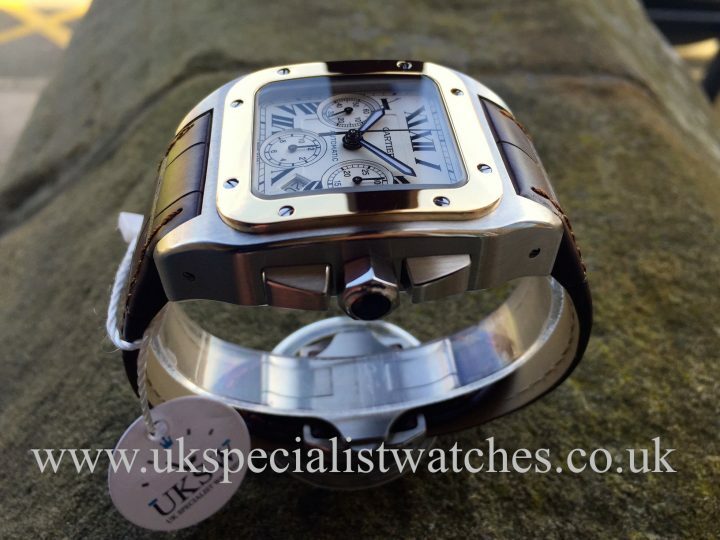 Gents Cartier Santos 100 XL Chronograph Bi Metal with the extra large 55mm x 41mm stainless steel case and 18ct gold bezel. 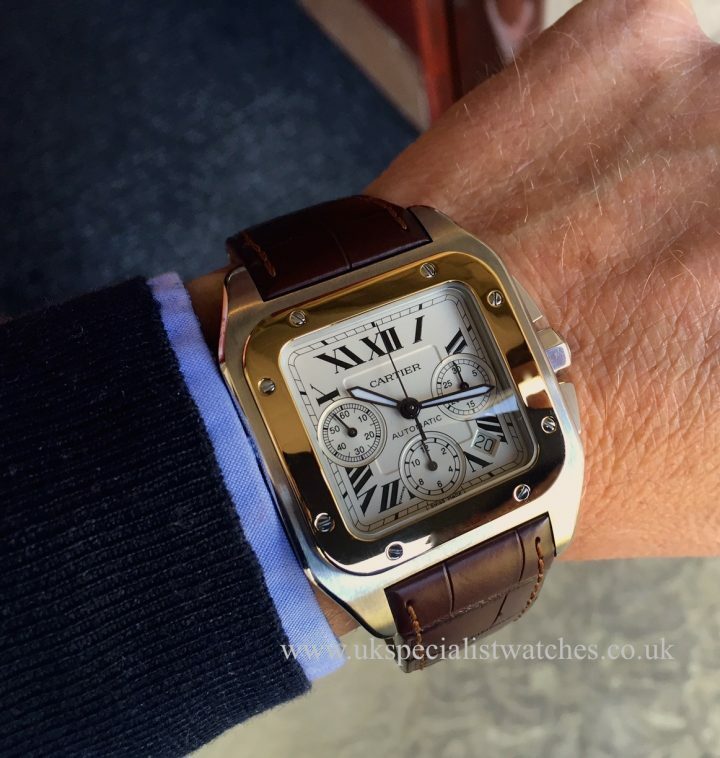 Silver/white dial with black roman numerals, 3 chronograph sub dials and date displayed between 4 & 5 and Cartier’s secret signature written at 7 o clock. 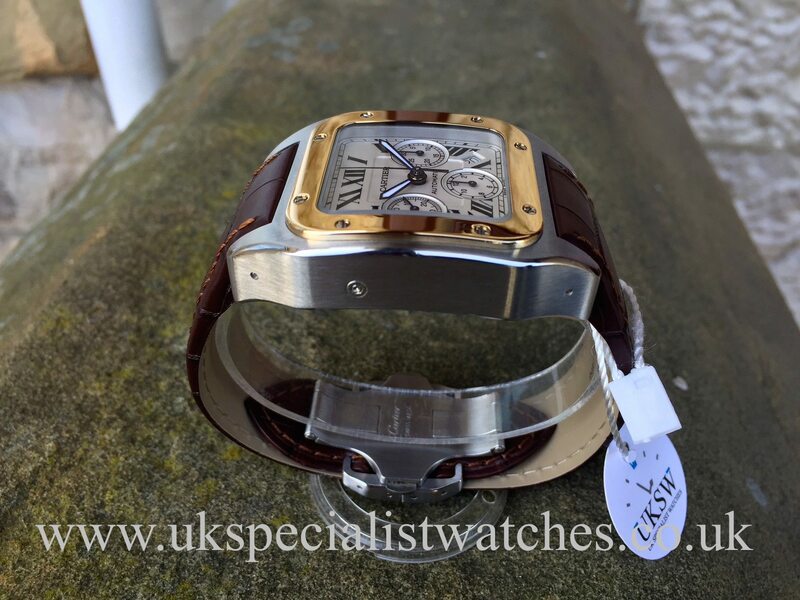 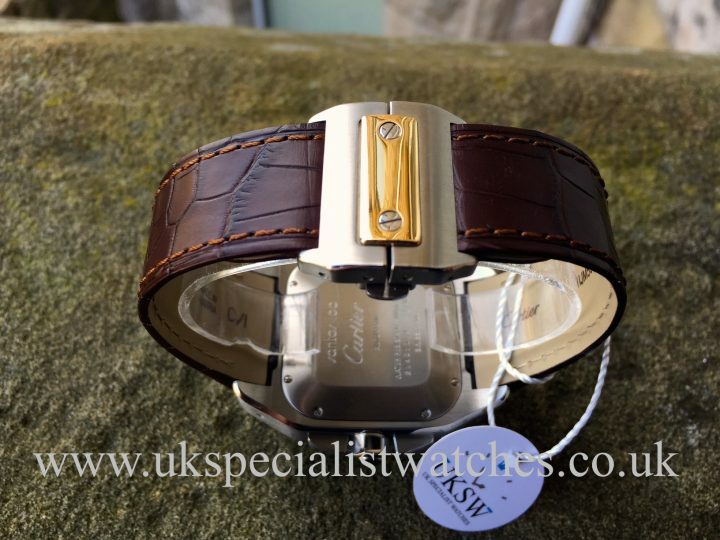 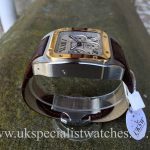 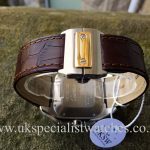 Brand new unworn genuine Cartier Brown alligator strap with a brushed steel and 18ct gold double deployment clasp. Cartier automatic chronograph movement. 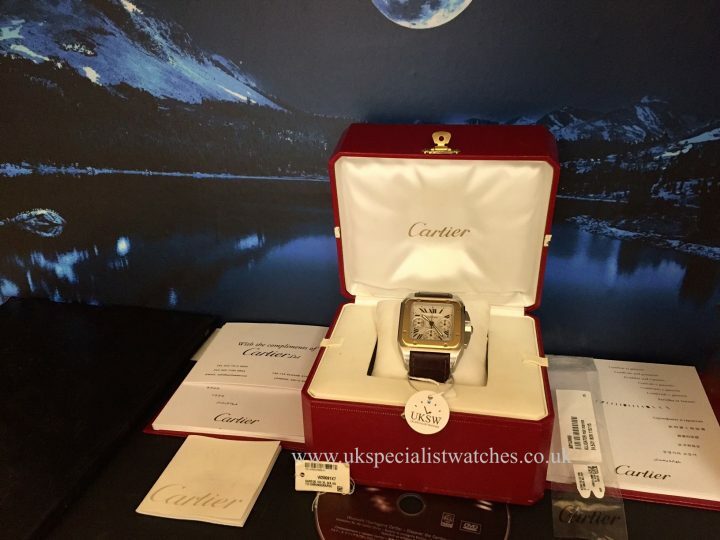 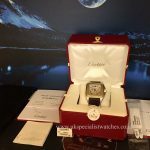 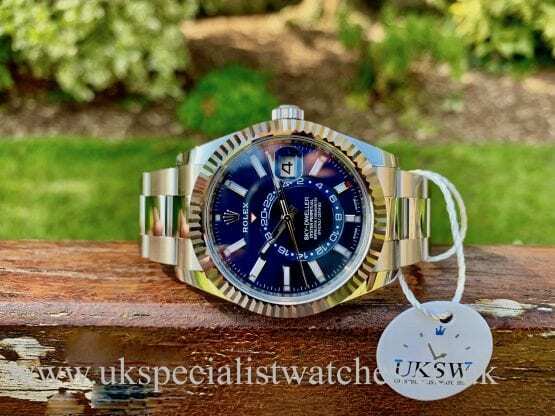 Supplied new Jan 2010 and comes complete with Cartier boxes, instruction booklet, swing tag, CD disc and stamped guarantee booklet. 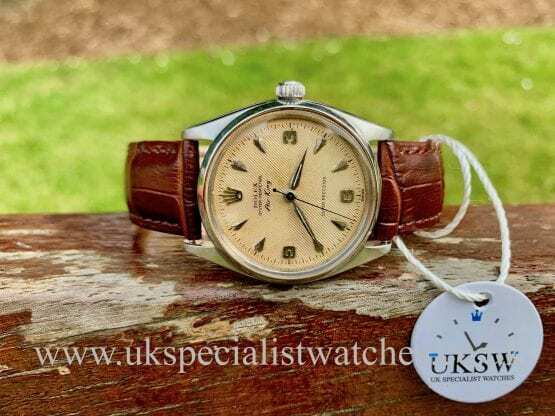 Costs new today £8,600!